Dallas – win passes to IRON MAN 3 Friday night at LOOK Cinemas, or come out Saturday to get free comics! If you live in Dallas and haven’t experienced LOOK Cinemas yet, you’re in for a treat. The stylish new theater is incredibly impressive, features a full restaurant, and state of the art concessions to boot. 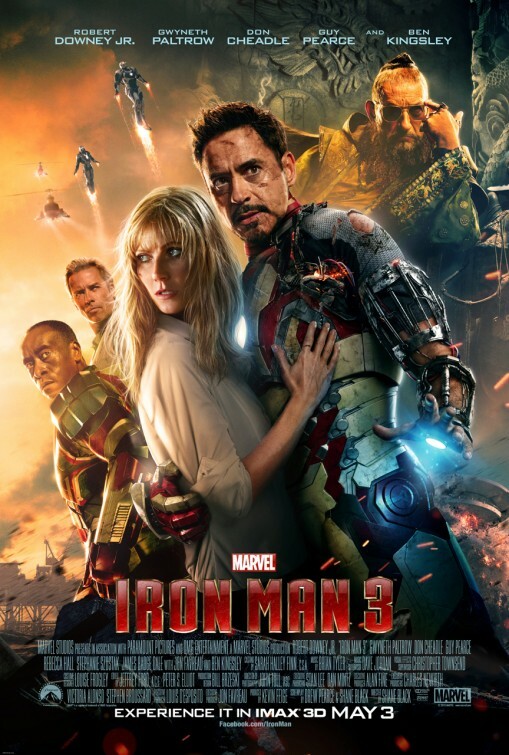 As many of you know, Marvel’s IRON MAN 3 opens this weekend. Bigfanboy.com has partnered with LOOK for a special promotion where you could get to see the movie opening night for FREE! We’re giving away 10 sets of passes (that’s a pass for you and a guest) to attend the Friday, May 3rd, 10:05pm showing. And trust us, when you see a movie like this at LOOK, especially for free, you will be impressed. But that’s not all. We’ll also be doing a special contest that night before the show where we give away a set of Friday (May 17) and a set of Sunday (May 19) passes to Dallas Comic Con! Please note, these passes do not guarantee you seats, you must arrive early and wait until the theater is opened normally, and enter with the rest of the general public. If you don’t win, or can’t make it out Friday night, join us Saturday starting at Noon at the theater for costumed superhero fun. Bring the kids and meet Iron Man in costume along with other superheroes from the Marvel universe, and even better they’ll be giving away FREE comic books! Saturday is, after all, Free Comic Book Day. Offer good to paid ticket holders, comics are given away while supplies last. Find out more about LOOK Cinemas at their official website.